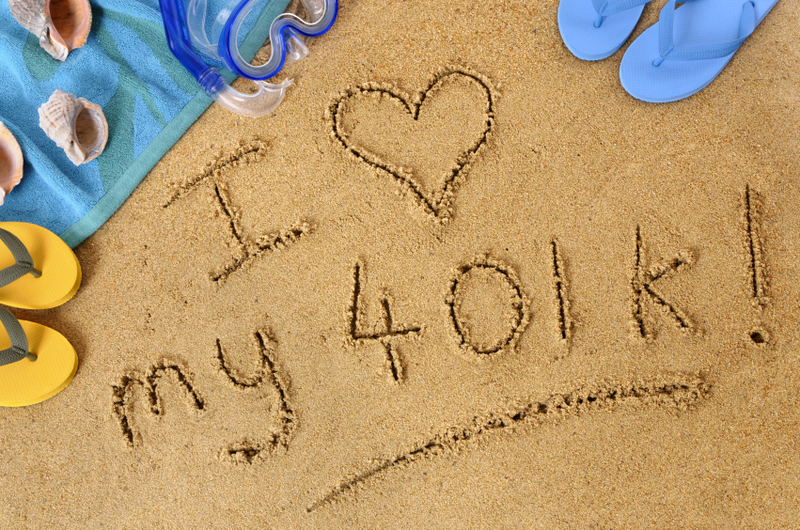 The TurboTax Blog > Tax Tips > Should I Pull Money From My 401k? Should I Pull Money From My 401k? A 401(k) plan is unarguably one of the best ways to save for retirement, but it can also be an unintentional block to accessing funds for emergency uses. To prevent account holders from taking advantage of the government tax-favored 401(k) plans, IRS regulations impose strict restrictions and penalty on early unqualified withdrawals, which is defined as making distributions while still under the age of 59 and half. There are only a few exceptions to such early withdrawals without having to incur a 10% excise-tax penalty on the amount withdrawn. 401(k) plans are often stringently administered and enforced by companies that sponsor them. Even if an account holder is opt to pay the penalty, the withdrawals must be first permitted under the law, that is, qualify for the prescribed hardship withdrawals under the provisions of the Pension Protection Act. 1. Tax-deductible medical expense. If you have such qualified medical expense, defined as the part of your total medical expenses that exceeds 7.5% of your adjusted gross income, you can make early withdrawals up to that amount without paying the 10% penalty. However, income tax is normally imposed upon withdrawals, unless the contributions have been made after tax to a Roth 401(k), which became available in 2006. Contributions can also be made on a after-tax basis to a regular 401(k), if so elected, where the after-tax contribution amount is not taxable when withdrawn, but the growth on the contribution is. 2. Having entered retirement at 55 or older. If you’re no longer working at or after 55, because you are permanently laid off, terminated from work, or quit to retire early, your withdrawals become qualified. 3. Having already retired as of March 1, 1986. If still in retirement currently and having elected to start receiving substantial equal periodic distributions of your 401(k) balance, all withdrawals are qualified but must last at least 5 years or until 59 and half, whichever is longer. Previously scheduled withdrawals can be altered thereafter. 4. Having become totally and permanently disabled, which demands 401(k) to be an immediate income source. 5. Domestic relations court order. The court has ordered fund withdrawals to give to your divorced spouse, a child, or a dependent. These measures apply only in those special circumstances and understandably are not practically useful for people with a financial hardship but in different situations. What is generally available to account holders wishing to withdraw funds penalty free is the so-called 401(k) loans. Such a loan allows the account beneficiary to withdraw funds with the promise of paying it back later to the same account. Loans are not subject to penalty nor income tax, except in the event of a default. The term of a loan is normally less than 5 years unless used for a home purchase. Interest must be charged and later becomes part of the 401(k) balance when paid back. Payments on the loan are made with after-tax funds and the repayment plan must have substantial equal periodic payments for at least once every quarter over the term of the loan, meaning repayment starts almost as soon as the loan is taken out. A 401(k) loan in a significant amount with a longer term disrupts the plan’s investment process, losing potential long-term investment earnings. In the case of changing employment, the borrower must repay the loan in full within 6 days. Failing to do so would be considered a default, causing the assessment of both penalty and tax. To be able to withdraw any funds under the hardship withdrawals as prescribed by law, one has to first meet the conditions and also qualify under the acceptable fund uses. 1 – The financial need is immediate and severe. 2 – No other funds or ways to meet the need. 3 – Other distributions and loans have been first obtained under your 401(k) plan. And 4 – The amount withdrawn is not exceeding the amount needed. 1. Non-tax-deductible medical expenses that are not reimbursed for you. 2. Payments related to the purchase of one’s principal residence. 3. Funds used to prevent eviction or foreclosure. 4. Higher educational costs, i.e. tuition and room and board. 5. Expenses for the repair of damage to one’s principal home. Remember that the 10% penalty is not waived for hardship withdrawals. And once the withdrawals are made, they can not be returned to your 401(k) account, unlike paying a loan back to the account balance. Withdrawals like these reduce account balance and therefore forever forgo the tax-deferred growth that could have been generated by those assets. The loss of growth can be a huge opportunity cost, especially when considering the power of compounding on those tax-deferred growth over a long period of time. Moreover, no contribution is allowed for 6 months following such a withdrawal, effectively reducing investment principal further. As such, a 401(k) withdrawal must be used as the last resort even in an emergency situation. An emergency fund would be a better way to prepare for life’s unexpected occurrences. Contrary to common perceptions, building an emergency fund takes very little effort if you start small and continue to save small and have a reasonable goal of covering only 3 to 6 months of living expenses, as an emergency fund is not intended to be a golden egg. You 401(k) may look like a nice amount of money to pull from but its there for a reason – to fund your retirement. I withdraw $5,000 from my 401k late last year and currently paying for it monthly. Am I supposed to report this on my tax return? I seen a question asking about 401k withdrawal while preparing my tax. However I have not received any form at all like how I received a form for my student loan interest. I like the valuable information you be offering to your articles. I can bookmark your blog.turbotax.intuit.com and feature my children test up right here generally. I am slightly positive they are going to be informed quite a lot of new stuff here than anybody else! We’re glad you like the information! Check back for more information. I am very grateful for our 401k retirement plan. Much better than the IRA I used to have.